It was decided we wanted (needed) some coffee after we finished the complimentary tea in our room…our jet lag is in full effect at the moment. Numerous coffee cafés were seen near the Senso-Ji temple, so we figured they would be prevalent everywhere and easy to locate. The temple area is unbelievable, but we wanted to see some new parts of Asakusa and so we headed out the door in a different direction. After avoiding the ‘girls’ club, we still were in need of coffee when we saw a place that had a coffee sign in the window. FINALLY! We walked in feeling great, but a handful of men were sitting at the counter smoking and we were not in the mood to pay 800 yen for coffee and inhale smoke. 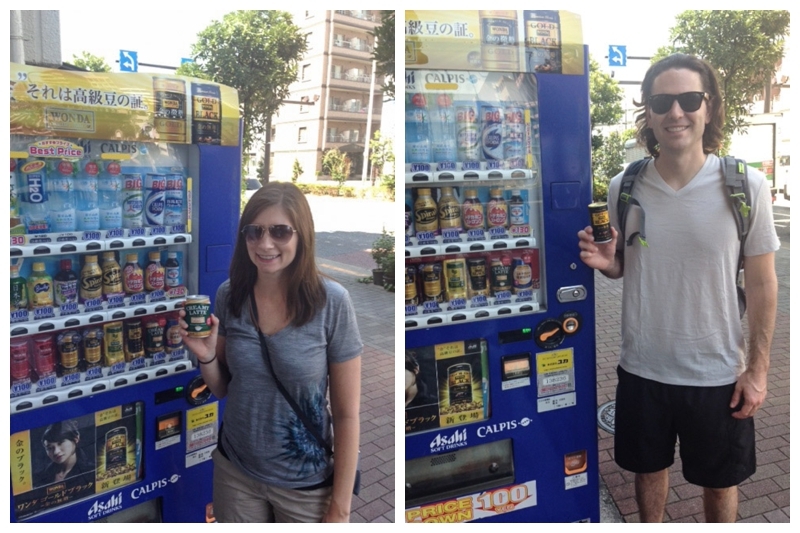 We walked out feeling defeated and figured our best option at this point was one of the many vending machines lining the streets selling cold drinks. 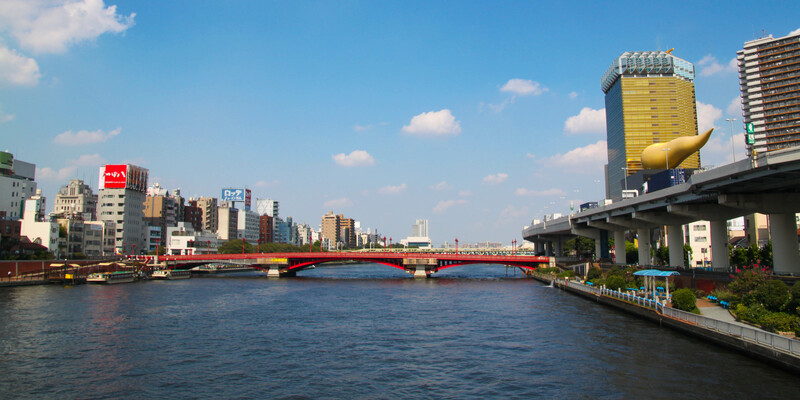 So, we bought two chilled cans of coffee for 200 yen and headed to the river walk to enjoy some sun while looking over the Sumida River. It was not what we envisioned for our morning coffee, but relaxing by a river with a coffee in hand is not the worst thing in the world.